. :: FARIDA AND ALLEGRA ::. When I first got Allegra she was lacking muscle development. One of her main problems was that she used to change her hind leg while cantering and that was partly because of pain in her back. Also, she had wolf teeth and that made her pull on the bit all the time. Despite of all her health problems, lack of experience and inconsistent flat work; she always had the will to please me and always did her best, especially while jumping. It’s better when I lunge her before riding because it helps loosen up her legs as she’s quite stiff at the beginning. The transition between her and my old horse ‘Bahlul’ was very big for me. 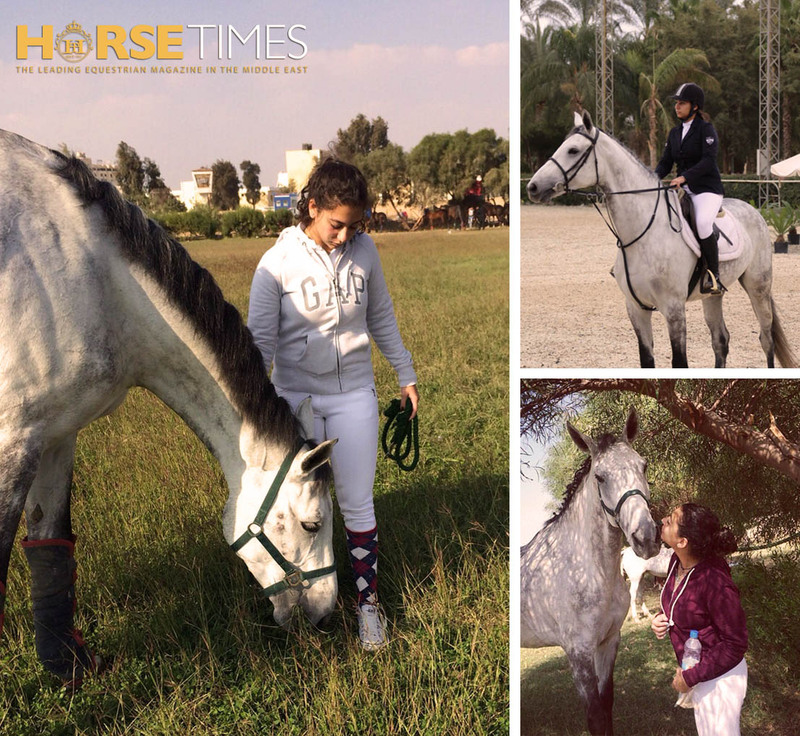 He was a very experienced horse, he is older, and there is a huge difference in their size. It was quite hard at the beginning; we entered our first competition after 5 months of training. In the competition she’s more jumpy and it’s hard for me to get her to focus in the warm up arena. When we enter the main arena she’s focused and she knows that she’s in a competition and that she has to do well. She helps me a lot; she listens to me and responds very well to my orders. She gives me the comfort of knowing that she’s going to try, even if I have made a mistake and put her in a difficult situation. We both progressed a lot, we understand each other much better and work together really well because of the bond we built. We have a routine, after I am done riding I always give her carrots, sugar and Asaleya; and sometimes sweet potato. Sometimes I massage her in her stall.